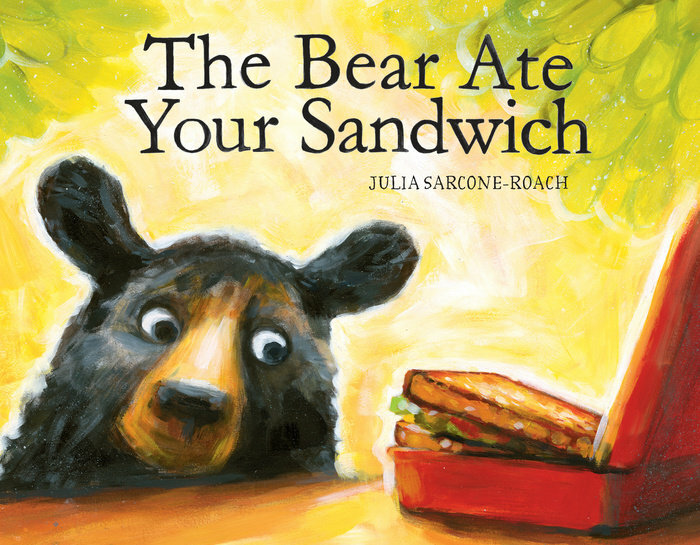 Julia Sarcone-Roach’s new book, The Bear Ate Your Sandwich, is a delight. Why? First of all, the narrator is relating a little-bit-wacky story that readers/listeners will almost-but-not-quite doubt. It’s just crazy enough that it COULD be true, after all. A bear COULD have accidentally made his way to town and, through a nutty series of missteps, ended up at the park where of course he’d eat a stray sandwich just lying there for the taking. It isn’t until the end of the book that you find out who the narrator is: a sneaky fast talking dog who, in order to steer suspicion away from himself, has concocted this convoluted story to explain to a little girl what happened to her sandwich. The story is short and fun, and I REALLY appreciate that Ms. Sarcone-Raoch doesn’t hit readers/listeners over the head with the denouement, but lets them figure it out. A group would enjoy this, but it’s perfect as a lap book, too, because each page has fun details to discover and enjoy. I adore that “So.” After the above spread, when his explanation is evidently met with silence, a page turn has the dog launching into the talk-too-much portion of a guilty party’s explanation. You know, when the big fat liar suspects his story isn’t holding water and starts blabbing and blathering? Yeah, that. I won’t reveal it here. Just go find this one. You’ll be glad you did. humor, Jill Esbaum, Julia Sarcone-Roach, The Bear Ate Your Sandwich. Bookmark. This sounds hilarious. Just put a hold on it. Thanks, Jill! This book was so funny–an absolute delight! The weird thing is that I didn’t love it the first time through. It took another reading before I was hit by its cleverness. BAM. Loved it. Have to look it up! Do, Kathryn. It’s definitely a don’t-miss. 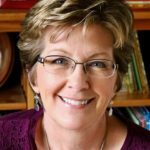 Thank you, Jill! This sounds like a hoot. Can’t wait to read it. This sounds like a terrific way to introduce a lesson to my 7th graders about an unreliable narrator! It would be perfect for that, Karla. I have been in looking at lots of ‘unreliable narrator’ books — what a great addition to the list!